Double your battery life with this light weight and protective case. 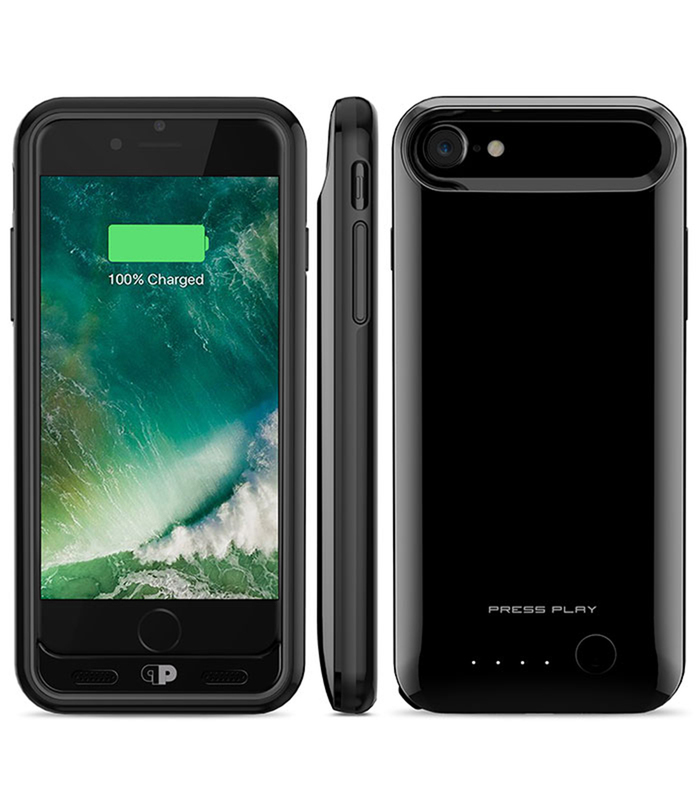 360° comprehensive Dual-Injection Frame design and hard-shell backplate, the Nero7 Battery Case Charger protects your iPhone from accidental drops, scratches and other daily wear and tear. 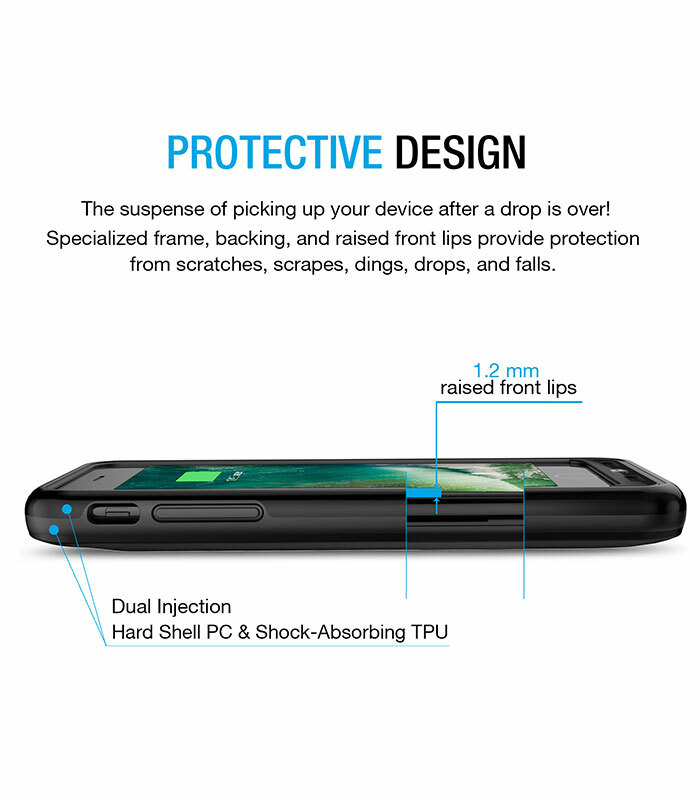 Small and convenient enough to fit in your hand or pocket. 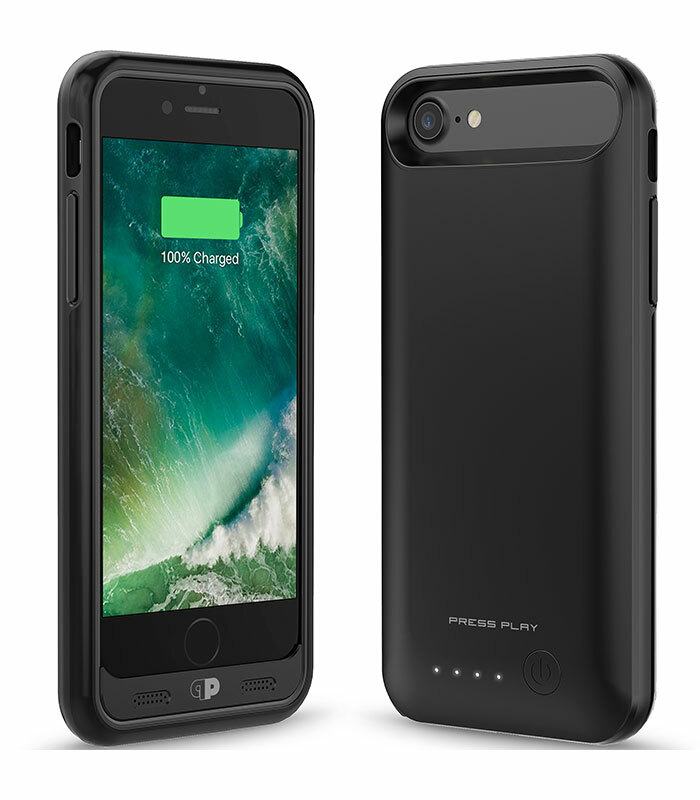 Typical battery cases weigh down smartphones. 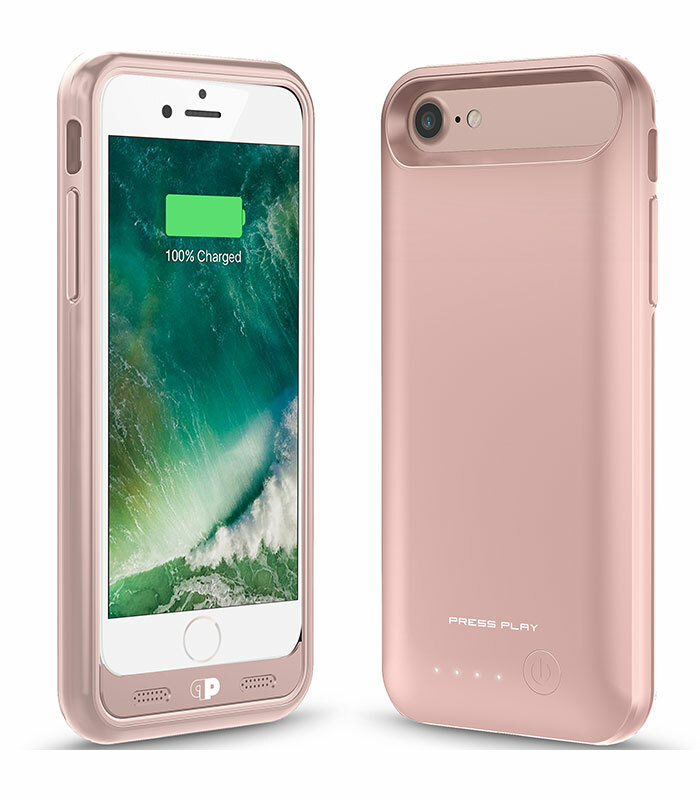 The NERO7 battery case for iPhone 7 is made with super strong and lightweight materials that keep your iPhone 7 light without sacrificing protection. 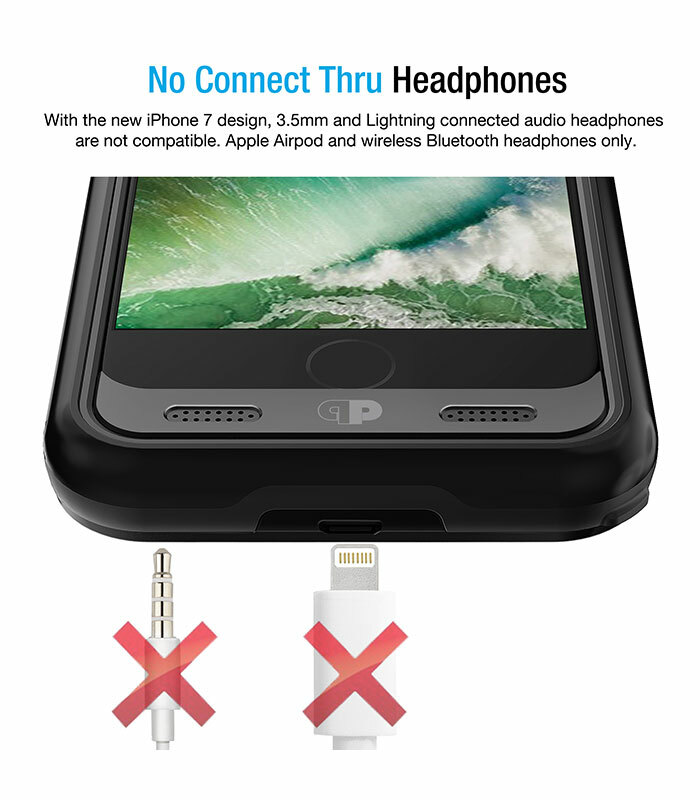 Featuring technology that allows you to sync your iPhone with your computer without having to take the battery case off. 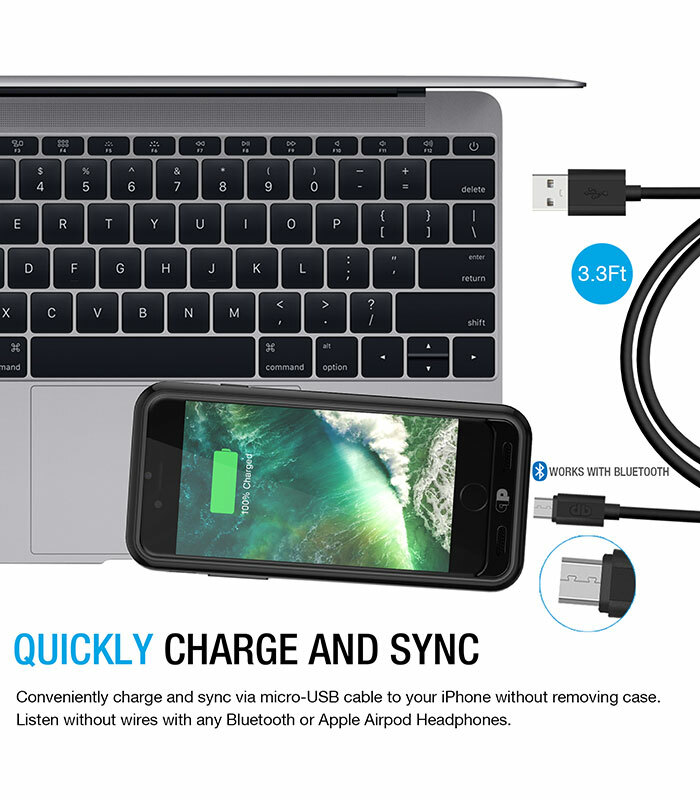 Simultaneously charge your iPhone and battery case together with the included micro-USB cable. 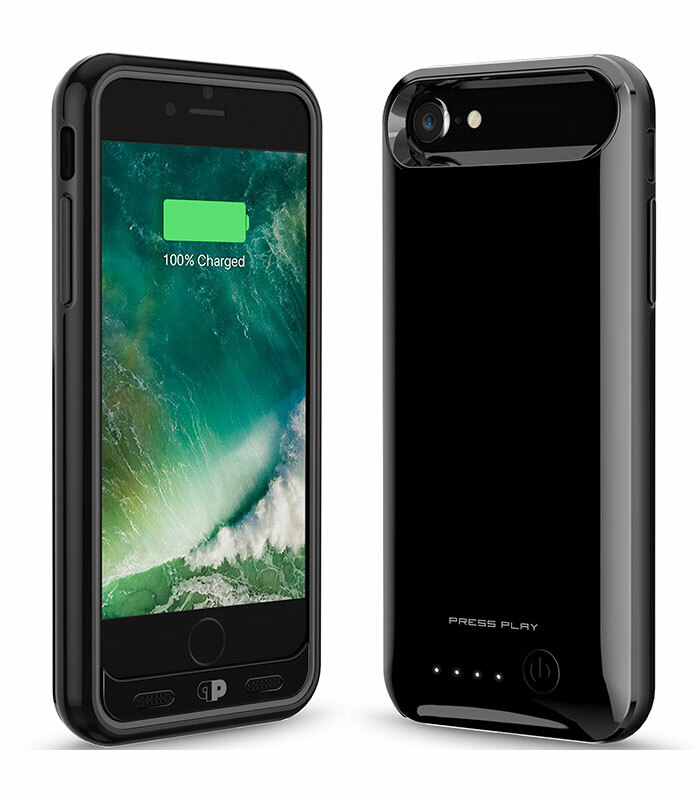 The Nero7 Battery Case iPhone Charger features BUILT-IN BUTTONS and LED battery level indicator which lets you know exactly how much power you have. 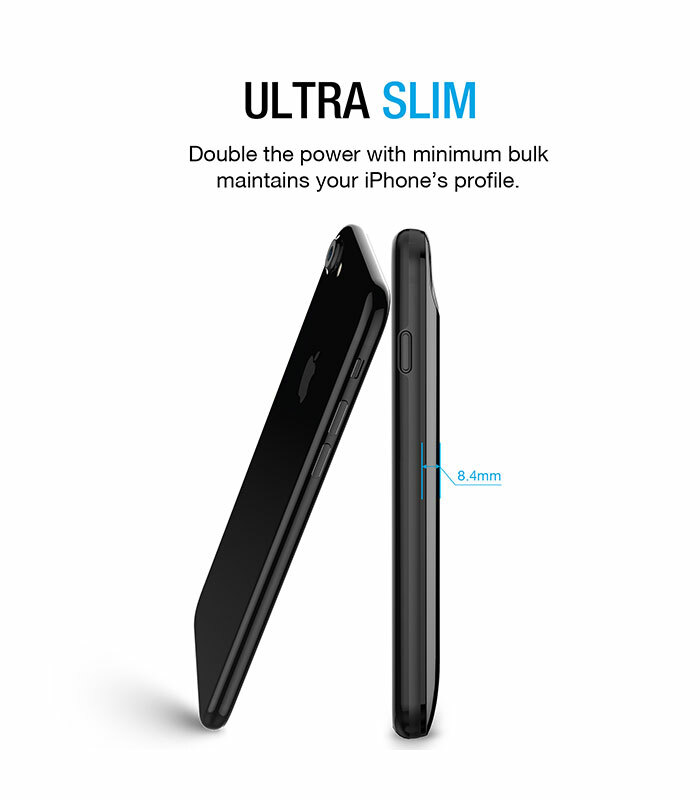 A softer inside safely grips your iPhone while providing easy access to all ports.